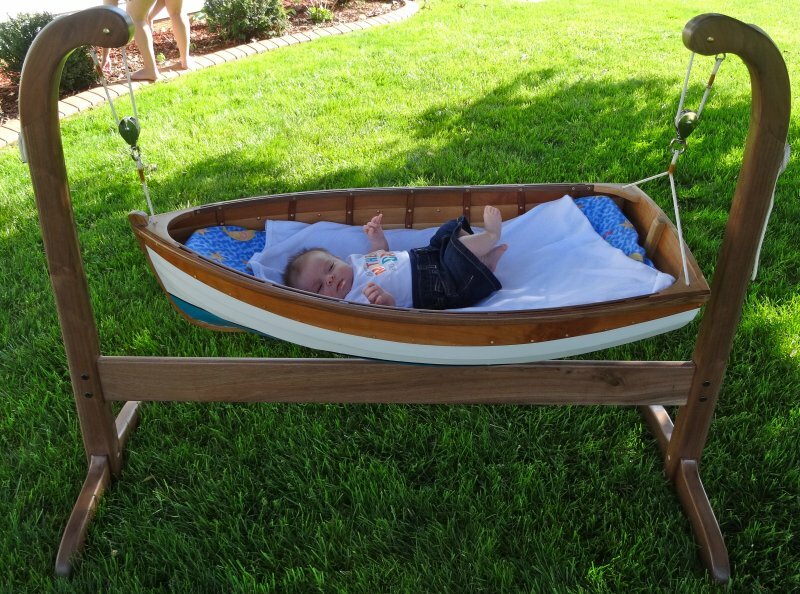 Violet Humphrys has had many sweet dreams while sleeping in her new cradle boat, SWEET DREAMS, built by her grandfather, Doug Roberts. Doug bought his plans from Jordan Wood Boats and built the cradle from a variety of fine woods. The planking is cypress, frames are made from cherry, the transom is curly cherry. and the trim is walnut. Everything but the cypress was harvested at the home of Violet’s great-grandfather. 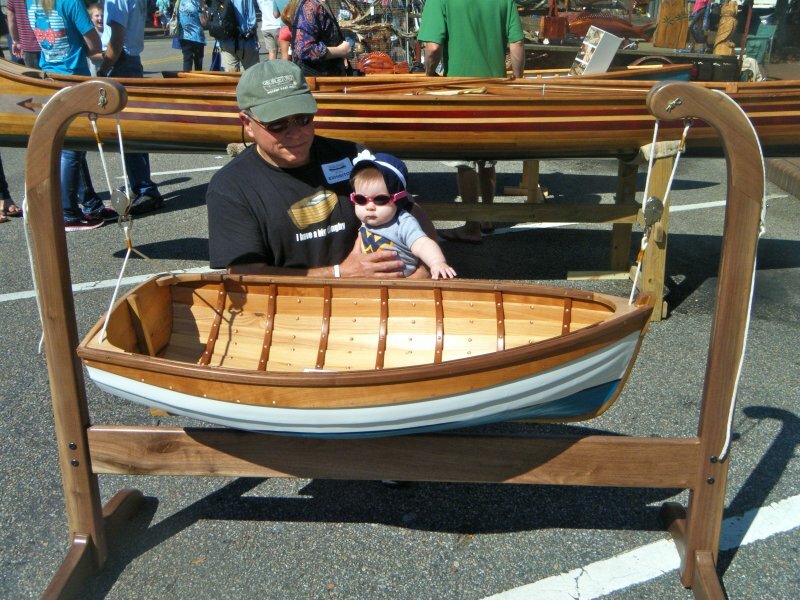 SWEET DREAMS won first place in the Boat Cradle category at the 2014 Georgetown Wooden Boat Show. Violet’s homeport is in Bridgeport, West Virginia.